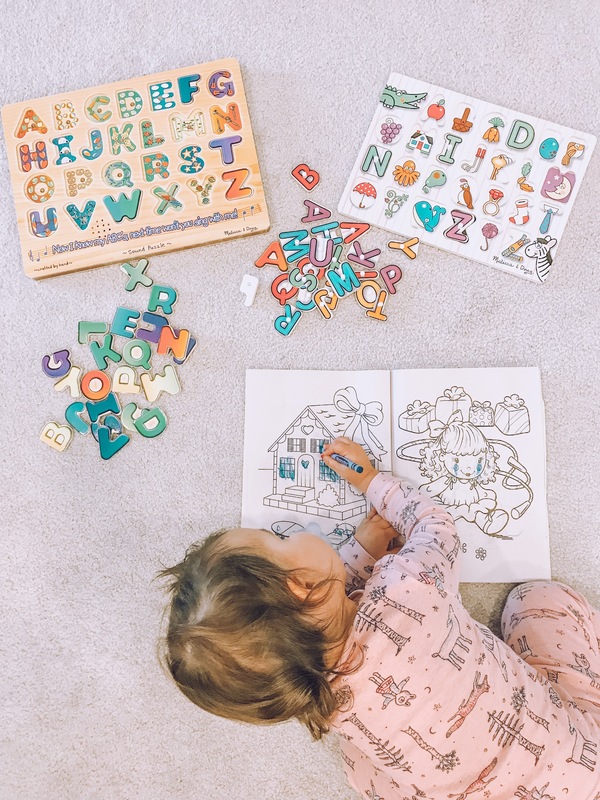 One of our favourite activities to do with Harlow is puzzles and right now she is especially into her alphabet puzzles. She is so proud she knows her ABC’s and it’s been fun getting to watch her associate the letters with words. I think these puzzles really helped with this and I knew you mamas would love to see which ones we love and recommend. We love all Melissa and Doug things and their learning boards are some of our favourite. Just click each photo and it will take you to a place to purchase. Hope you find this helpful, let me know puzzles you love in the comment section below so we can add to our collection.